Health is one of the very important things in our daily life. With the changing lifestyle, environment and stressful life, people are facing a lot of health challenges these days. And with the hectic schedules they follow, people usually tend to ignore their health, and they try to earn at the cost of their health. “If you think wellness is expensive, you will have to try illness”. It is time to get preventive about your health and get a regular/routine master health check-up today. Pune is one of the fastest growing cities in the Asia-Pacific region. It is the second largest city in Maharashtra and is known as “Oxford of the East” due to the presence of several well-known educational institutions in the city. The city is known for its manufacturing and automobile industries, as well as for research institutes of information technology (IT), education, management and training, which attracts students, and professionals from India, South East Asia, the Middle East and Africa. Therefore the migrating population only grows in the city. More than 40% of the population lives in the slums of Pune. With the rapid urbanization and modernization, there are several changes the city has witnessed. May it changes in lifestyle or shift in the burden of diseases or the socio-economic condition of the city. Majority of the people in Pune city are engaged in sitting jobs, with elevators in their houses and offices and junk food has become a part of life. With such situations and lifestyle conditions obesity, weight gain, extreme weight loss, high cholesterol, fatigue and many other chronic diseases have started affecting the daily lives of the people. The population of Pune is 5.9 million and is still growing. The city has absorbed around 38 nearby villages extending the existing the area and making it difficult to meet the basic necessities of place to stay, food is getting expensive and there is shortage of water and has created unhealthy environment due to pollution and lack of sanitation is on a rise. There is a huge burden of chronic diseases in the city with many lives taken away every year. The prevalence of lifestyle diseases such as coronary heart diseases, diabetes, COPD, cancer and chronic kidney and liver diseases are taking a troll over the life of people. Among the deaths due to NCDs, more than 45% of the deaths are attributed to heart disease. Diabetes is on a rise and more than 40% of the population is diagnosed with diabetes in Pune. Diabetes associated diseases are also on a rise in the city. 24.8% women and 13.8% men are associated with chronic kidney disease (CKD) and more than 83% people are obese and more than 50% were diagnosed with hypertension. Pune reports more than 10,000 cases of stroke every year. This is basically due to high cholesterol, obesity and hypertension. Pune also suffers from pollution problems and the heat during summers is unbearable sometimes. 6.5% of deaths occurred due to COPD and other respiratory diseases like asthma, pneumonia and lower respiratory infections. With these chronic diseases, another deadly disease that affects people is Cancer. Around 50% of cancer cases were registered in Pune in 2016. In Pune, not only adults face the challenge of fighting these chronic Non-communicable diseases, but children also are. A survey that was conducted in terms of health of children in the age group 4 – 16 showed devastating results in case of lifestyle diseases. It showed that 1 out of every 8 children in Pune is at the risk of developing lifestyle or metabolic diseases in adulthood. The risk factors assessed were obesity with nearly 11% of them being obese and 13% overweight, resulting in the risk of developing lifestyle or metabolic diseases such as diabetes and cardiac complications in future. The survey was carried out with 2700 children during 2017-18 academic year. How can Master health check-ups help you prevent these chronic diseases? Most of the chronic non-communicable diseases are prevalent among the young adults and the working population of Pune. And these diseases are triggered by many of the youth oriented lifestyle behaviors that the young ones follow. Factors like unhealthy diet, intake of junk food, consumption of any form of tobacco and alcohol, physical inactivity leading to obesity and stress along with hypertension are considered to be the major risk factors that increase the chances of being affected by one or the other NCDs. Many times with the hectic schedules we follow we ignore the little symptoms that our body may be trying to indicate and leave many diseases untreated. These untreated diseases are very harmful and may turn out to be fatal sometimes. Therefore, regular and routine full body health check-ups can help you analyze your body regularly and track the changes. These complete body health check-ups can help in detecting diseases early and help in treating them early indeed. What does a Full body check-up include? When do you visit a doctor? Usually when you fell ill or notice something unusual happening to your body. But most of them today have become more cautious about their health and go in for preventive health check-ups regularly. Master Health Check-ups aim at detecting and treating the health problems during the early phases. These Master Health Checkups offer a series of tests that are based on the screening tests of Blood, Urine and imaging scans. They have been proved valuable in many cases where simple blood tests have detected deadly diseases like cancer. The vitals examination helps in recording blood pressure, weight, height, pulse rate and temperature. The 28 complete hemogram tests help in checking the density of the blood, the count of WBCs and RBCs, and other factors that help in assessing infections, iron deficiency anemia or indications of other diseases. Toxic elements, vitamins and electrolytes tests help in diagnosing the elements level in the body. The elements such as oxygen, carbon, hydrogen, nitrogen, calcium, and phosphorus, potassium, sulfur, sodium, chlorine and magnesium are also analyzed. Any increase in the values of these elements can prove to be toxic to the body. The 8 lipid profile test assesses your total cholesterol, triglyceride, HDL-C and LDL-C. This provides information about the fatty content in the blood and helps detect diseases like high blood pressure, blocked arteries that lead to stroke. The 6 cardiac marker blood test helps in diagnosing the heart condition and diseases associated with the heart can be easily detected with the help of this test. The kidney and renal functionality tests help in identifying the problems related to the kidney and assesses the renal function. The blood serum test elements like Creatinine and BU are checked to find any distraction in their values, and if yes, the variation in these chemicals in the blood indicates that there is a possibility of kidney dysfunction. The level of deterioration and damage can be identified with the help of this test. 4 iron deficiencies can be used to identify the reason for severe anemia (if suspected) in the body due to fall in the RBCs. The 3 thyroid test measures the hormone level of T3, T4 and total TSH values. Thyroid gland is a very small organ but yet plays a very important role in regulating the body’s hormonal condition. The 2 arthritis tests are very useful for aged patients and are helpful in identifying the type of arthritis a patient is suffering from. Pancreatic test helps in diagnosing the digestive system and detect diseases like pancreatic cancer, ulcers and many more. Diabetes check is very common test but a very important one as well. This test calculates the blood sugar level in your body. During this test includes Fasting, Random or post-prandia (PP) and Hb1Ac (calculates an average of 3 months of blood sugar level in the body) that helps doctors in deciding if you are diabetic or pre-diabetic. The tests like ECG, Chest X-Ray, TMT, 2D Echo, USG Abdomen and PFT help in fetching images of the organs, tissues and muscles that easily help in detecting any tumors or cancers in the different parts of the body. Depending on the outcome of the initial physical examination and rounds of discussion with the doctor, family history of diseases and symptoms, the doctor may also like to add advanced tests like MRI, PFT and PET. 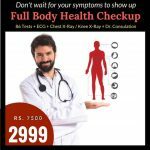 What is the cost of master health check-up in Pune? With the growing willingness to stay healthy and keeping oneself healthy, people are getting more conscious about their health. They visit their doctors regularly and keep a track of their health records handy. But how far is this system credible? Initially when master health check-ups were introduced to the people, they were hesitant, reluctant to pay a considerable amount for tests that ended up saying they were healthy. But with the growing burden of disease, few players in the healthcare industry taking the advantage of the situation and started making money out of master health check-ups. It ended up being a scam. People lost their trust of these packages. But just because few played enjoyed that era, you cannot deny the fact that master health check-up packages still play a vital role in early detection and diagnosis of chronic diseases. You just need to choose the right center that will help you in choosing the right package for your health. 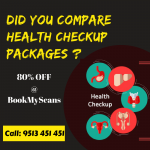 There are several online guides that will help you with the necessary information for booking your appointments for the health check-ups and Bookmyscans is one which you can rely on. 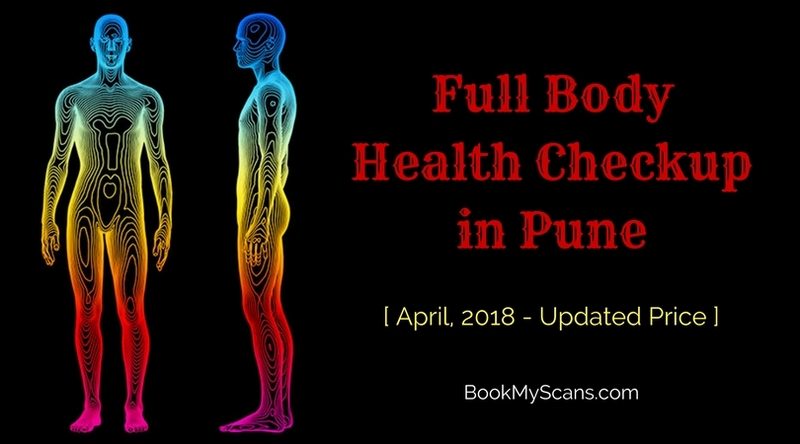 The actual cost of a master health check-up in Pune is something around INR 4,000 and may go upto INR18,000. Bookmyscans offers many packages starting just at INR 1,999 assuring you 75% off on the market rate. How can BookMyScans.com help you? Our packages help the doctor analyze Heart health, bone health and brain health along with other tests separately for men and women. The bronze package consists of 48 tests along with Chest X-ray and ECG and our platinum package consists of 86 tests + 5 scans that help the doctor get a thorough idea about the individual’s health. Bookmyscans assures you the best quality reports and results as we partner only with centers which are approved by AERB and certified by ISI and NABL. our partners use only trusted testing equipments and methods that assure you the best quality results. Our partners are audited periodically to make sure they are technically competent and maintain the quality of services. We also offer packages that value for money as we offer them at the best discounted price.